Certified nursing assistants and home health aides, both are the entry-level positions in the medical industry. No difference between these professions is apparent, on the surface. The difference can be revealed on close inspection. It’s important for the students to understand the difference between CNA and HHA, in order to meet their career goals. Let’s have a look. CNA- State approved training must be completed by the certified nursing assistants. As compared to home health aide training, the coursework of nurse aide programs is complex and detailed. The duration is also long. HHA- In many states, training is not mandatory for HHAs. However, in other states, these professions are required to undertake short term training courses that are available at community colleges and vocational schools. Mostly, they are provided a very basic training (almost no practical knowledge), before they begin working at a medical facility. They gain practical training on-the-job. CNA- To work as a CNA, it’s imperative to have a certification. 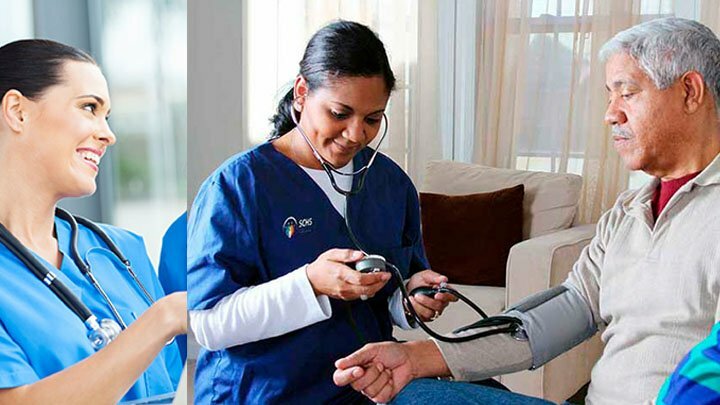 In some states, the training curriculum of nursing assistant classes includes the important extracts of HHA training, so that a certified nurse aide can also carry the work of home health aides. HHA- Generally, it’s not compulsory for the home health aides to hold a certification. However, in some states, you may require certification. You can get HHA certification after qualifying MACE (Medication Aide Certification Examination). CNA- The job scope for the nurse aides is wide. They can work in different types of medical settings, like clinics, day care centers, hospitals, rehabilitation centers, retirement communities, hospice, doctor’s office, etc. CNAs can perform the duties of the HHAs. HHA- These professionals have limited job scope. They can do anything more than providing personal care at the patient’s residence. A home health aide can’t carry out the duties of a nursing assistant. CNA- These professionals take care of personal hygiene and sanitation of the patients; control infection; administer treatments; documentation and reporting; provides emotional support, etc. HHA- They are responsible for running errands; preparing diet as per instructions and assisting with feeding; light housekeeping; assisting with dressing, bathing and grooming; administering prescribed medication; obtaining household supplies; etc. CNA- According to the Bureau of Labor Statistics, CNAs may earn between $7.78 and $14.99 per hour. HHA- The hourly salary of HHAs ranges from $7.06 and $10.90. CNA- Several growth opportunities are available for nursing assistants. By acquiring higher education, they can move to other higher medical careers, like Registered Nurses, Licensed Practical Nurses, CNA Instructor, etc. HHA- Limited career advancement opportunities are available for home health aides. There are a very few programs for professional growth for HHAs.